Sea-Tac Airport, it’s not just for travelers anymore. On Friday, the Port of Seattle launched a program allowing visitors past security, even if they aren’t booked on a flight, to greet loved ones at their gate or to see them off. The visitors — up to 50 each day — can also dine at one of the airport’s restaurants or shop in the so-called air-side area of its terminal. The “SEA Visitor Pass” program allows those without tickets to reach the domestic-travel gates provided they meet Transportation Security Administration (TSA) requirements, according to the Port of Seattle. Sea-Tac is one of the first airports in the nation to reintroduce the practice since it was suspended in the aftermath of the 9/11 attacks. The program gives visitors access to passenger-only areas that lie beyond the security checkpoints run by the federal government. OK, there may not be anything nostalgic about adding people to the snaking lines frequently found at security, but Port officials said wait times are not expected to increase because of how the pilot program is designed. Terminal access for visitors is restricted to Tuesday through Sunday between 8 a.m. and 10 p.m. to not overwhelm security checkpoints, according to the airport. 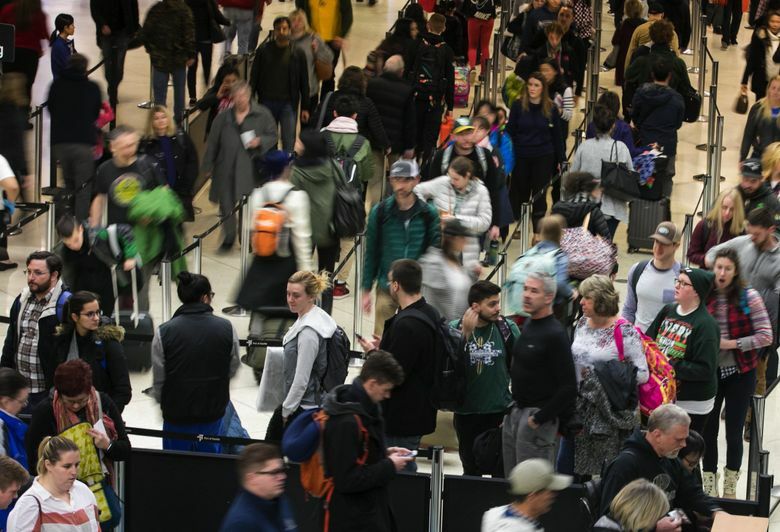 The airport’s busiest hours are between 4:30 and 7:30 a.m., when all the gates are filled and airlines begin their day, said airport spokesman Perry Cooper. To start, the program has laid out a list of restrictions. First, it will only accept 50 visitors a day, who must sign up online before 1:30 p.m. on the day before they plan to visit. TSA will notify visitors via email if they have been pre-approved. Visitors must pick up their passes the next day at the airport with a photo identification and must go through the same security procedures as those boarding planes. Port officials aren’t just hoping to revive the practice of meeting grandma at her gate. They’re also encouraging nontravelers to take advantage of the day pass to go shopping, dine or simply watch planes and participate in airport events. The trial period ends Dec. 14. The airport will survey visitors and track responses to determine if the program should continue and what changes need to be made. Last year, Pittsburgh International Airport became the first in the nation to introduce visitors back into the terminal. The airport has not seen an impact on wait times or security, according to airport spokesman Robert Kerlik. Eleven people had signed up in advance to visit the airport on Friday, venturing beyond security without a plane ticket for the first time in 17 years. The second day of the program reached its sign-up limit of 50 people for a Saturday visit within two hours on Friday morning, according to Cooper.